We celebrate birthdays to honor others, to celebrate the life of those we love and to wish them continued health and well-being. Revolving around the anniversary of an individual’s birth, birthdays are known to be deeply personal and intimate by nature. However, the gift-giving that accompanies these celebratory days is seldom as joyful, serene and intimate as the nature of the holiday itself. Paradoxically, what we have to show for our loved one’s birthdays is a stressful period of time, leading up to what feels like a rigid and obligatory gift exchange in which we feel a pressure to perform, and thus end up acquiescing and purchasing a vague and impersonal gift so as to avoid failure. As the landscape of giving changes and we are inundated with birthday notifications and news of how happily our family, friends and acquaintances spend their special days, we should examine the growing external pressures and changing character of the practice. This finding could be an indication of spreading kindness… however, it is notable that the 2018 study also found that Facebook gifts replaced offline gifts about half the time, with 42 percent of givers reporting that giving a gift without the social media platform would have been difficult. Furthermore, Kizilcec continues saying that social media “can also make gift exchanges more transparent. For example, Facebook reminds people of others’ birthdays, and when people give gifts these exchanges could potentially be shown in the newsfeed to others. This can change social norms around when giving a gift and what kind of gift are acceptable and expected.” Not only are we thoroughly steeped in materialism, but it appears as though not all of the giving that is done would be done without the aid of social media. We also experience increased pressure to perform as our transactions become more visible and less intimate. We become influenced not necessarily by what the birthday person moves us to obtain but by the practices prescribed by others as acceptable. The question is whether kindness that is reliant upon external forces like notifications rather than an internal drive is genuine. It is difficult to measure but certainly worth considering where the kindness is coming from. Less formal but just as culturally ingrained in many American households: the threat that if children do not behave during an allotted period of time, they will not receive their allowance, or they will receive coal in their stockings. A gift will be conferred only in exchange for good behavior. Thus another cloud upon what first appears to be a purely altruistic practice: to many gift exchanges there is an unspoken expectation of reciprocity. Contrary to the concept of birthdays as days revolving entirely around the shining existence of a special somebody, it is possible that our gift-giving practice is touched by our own desire to yield something from someone else’s day. Again, the question is whether the kindness is coming from a place of altruism and thoughtfulness for another, or whether the desires of the giver bleed into the exchange. In the face of the stress of materialism and expectation of reciprocity, and possibly also as a result of heavy social pressure, there are more avenues of gift-giving that allow for impersonality, and for breadth over depth. A widely used vehicle for gift-giving today is the gift card, the application of which can often be customized and personalized based on individual purchasing history. Such forms of giving are our reality–but is it ethical and reflective of the intimate nature of the birthday? Gift cards are not the only example of gifts that could be perceived as impersonal. Carolyn Mahoney, a child psychologist stationed in Montgomery County, Maryland, notes that to celebrate their peers’ birthdays, “students rarely provide physical gifts for their peers aside from decorating lockers… other than that, it’s mostly posting about that person on social media.” While some of these digital messages are surely meaningful and intimate, the ease with which something like a gift card or post can be given enables it to be given thoughtlessly, as an obligation, without the recipient in mind. 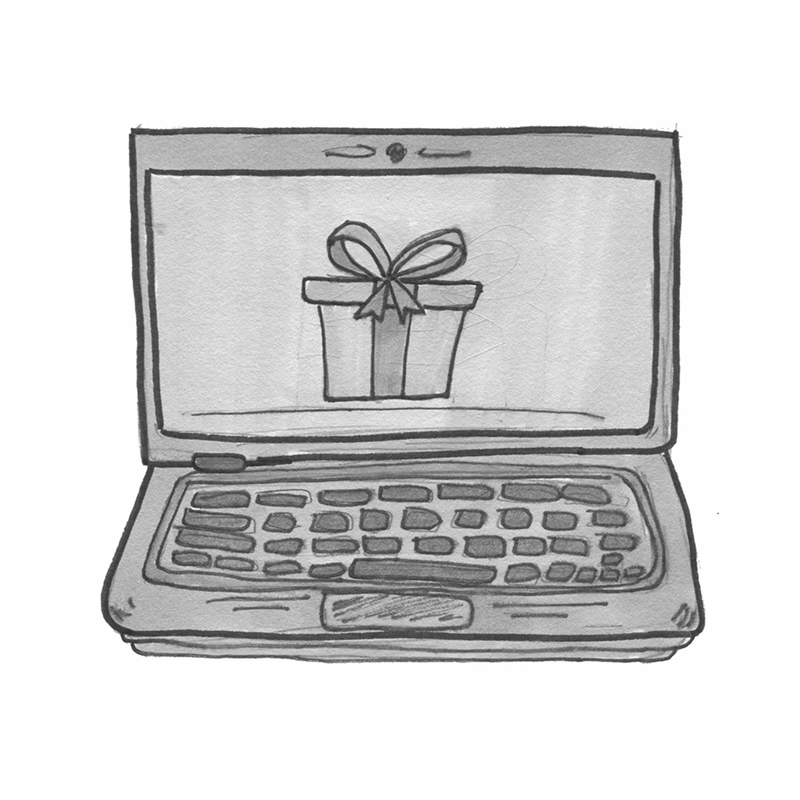 Even if a gift card is specially selected for the intended person, the gift itself is still open-ended rather than chosen, and something digital may not merely be received by the celebrant, but performed for followers. Is a gift that is a non-gift reflective of the attention and care that characterizes a birthday? Or, by transforming the gift-giving process, are we giving birthdays a new character — one that is less personal, and more centered on materialism and unconscious expectation? It seems as though the act of giving has the potential to become less intimate and more dependent upon the convenience of the giver. But do the aforementioned experiences really reflect what birthdays are meant to celebrate — the life of, and our love for, those dear to us? Mae McDermott is a first year writing major who hopes Mark Zuckerberg’s birthday wishes don’t come true. You can reach them at mmcdermott@ithaca.edu.